Splash pages, you gotta love 'em. A blank canvas where the artist can hit you with a large dose of illustrated 'wow'. For this week's splashie it's a gratuitous shot the true reason to say 'Shazam!' 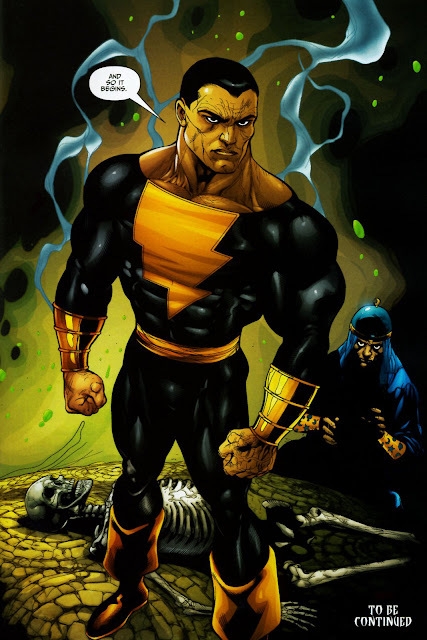 - Black Adam. You remember him? He's that ultra cool anti-hero whose stocks were skyrocketing post DC's weekly maxi-series 52, yet as we head into DC's upcoming 52 title relaunch he's sadly no where to be seen. 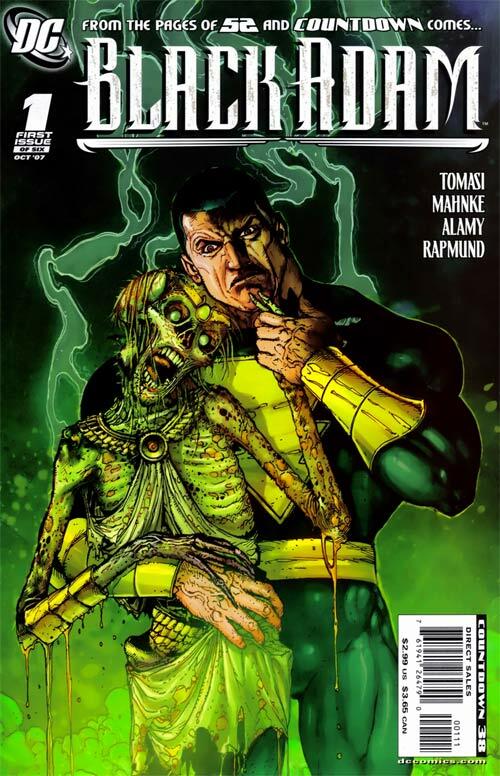 Taken from the mini series that showed them all how it's done; Black Adam: The Dark Age, ol' Adam might have spoken a little prematurely when he said "It begins". Each issue of The Dark Age by Green Lantern's current pencil-bearer Doug Mahnke and writer Peter J Tomasi had you pleading the last page would end with the announcement of an ongoing series, but alas it wasn't to be. That said, my hopes are high Adam and the rest of the Marvel family don't stay hidden for long in the upcoming new DCU - based on the past few years alone they have been gone too long as it is.